#InTheStudioThisWeek, it’s summer 2018 and we’ve been designing brochures! 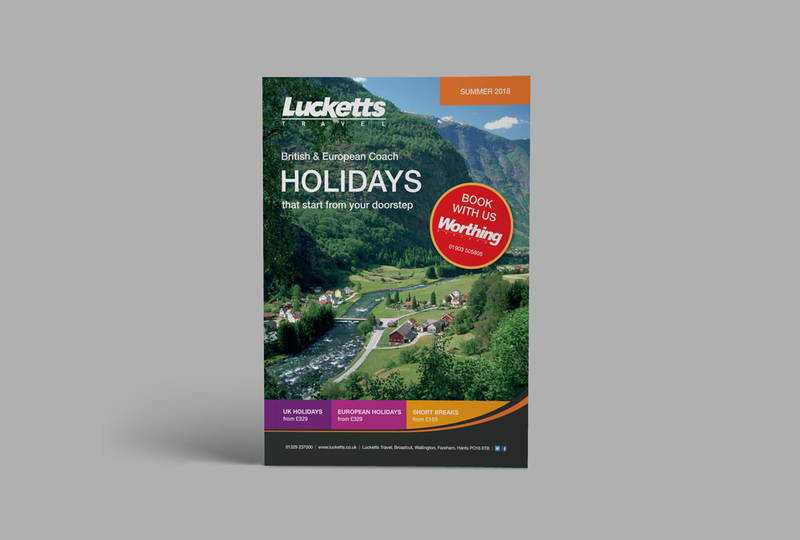 We really enjoy working with Lucketts Travel, and once again, are delighted to have had the opportunity to design the beautiful holiday brochures. 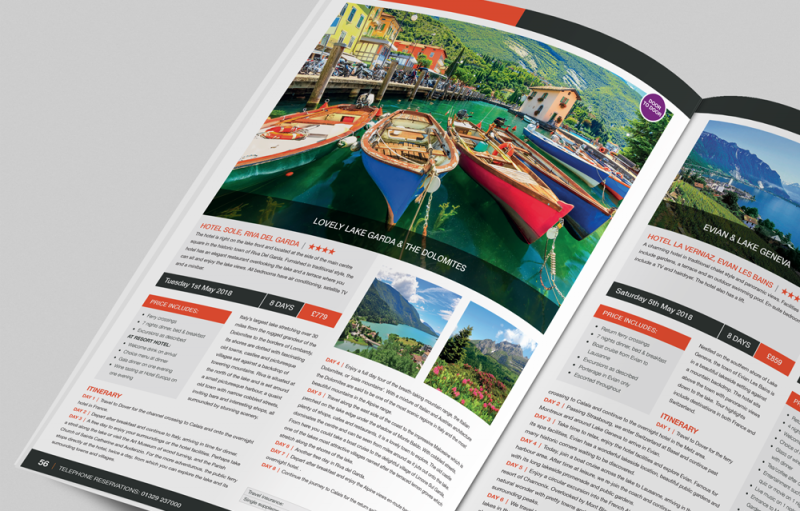 We LOVE it when the brochure brief pops into our inbox as we know it’ll be a few weeks of delving into holiday fever. 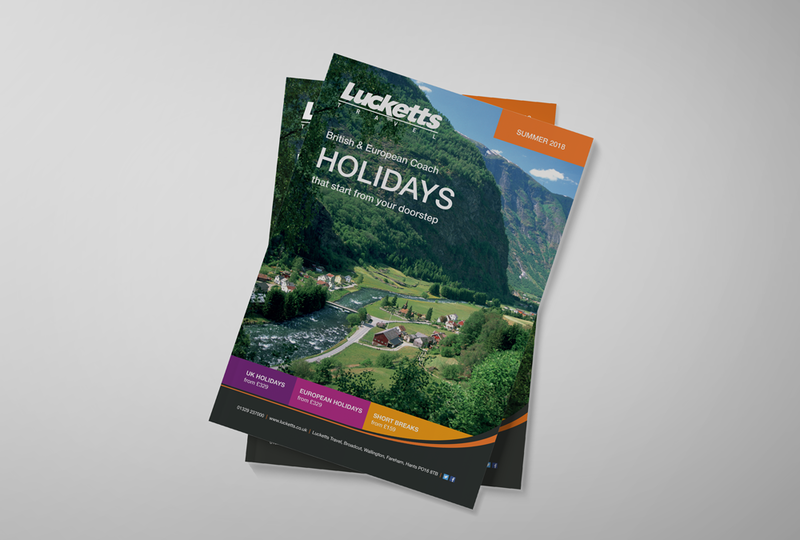 Working closely with team Lucketts we map out, design and artwork over 70 pages of stunning UK & European destinations and adventures. It’s the variety that we are always amazed by. 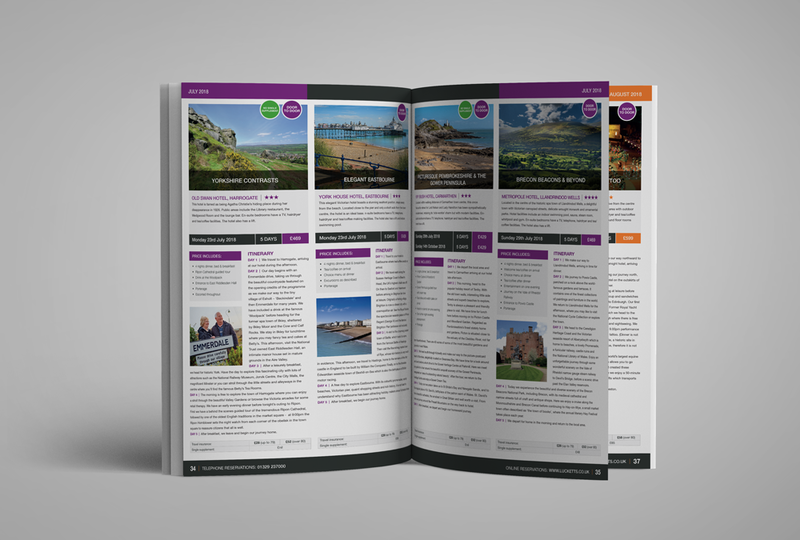 From city breaks & breath-taking tours around Britain’s gorgeous landscape to culture and fun experiences throughout Europe, the brochure is packed with holiday choices. It’s certainly opened our eyes to coach travel (no jokes about me at Glow being the oldest ) and for me Lake Garda & The Dolomites is the one that looks delicious. The accommodation is a hotel right on the lake with beautiful views and is located next to the main centre square in the historic town of Riva Del Garda. I’m booking up – who’s coming?! Lucketts has great heritage and is a family business which started in 1926. From small beginnings it has become the largest coach operator on the south coast and offers top holidays, with modern, luxurious coach travel; all delivered with a traditional approach to politeness and customer service.